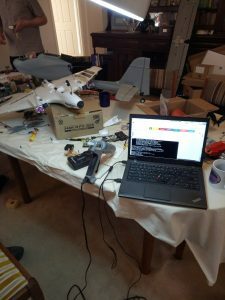 Just a quick note that CanberraUAV (along with 54 other teams) have submitted their Deliverable 1 reports for the 2018 UAV Challenge. With the Challenge being held in October 2018, teams now have 13 months to build and test their UAVs. Time to get building! In CanberraUAV’s case, you can watch our progress over at our Youtube channel (https://www.youtube.com/canberrauav), Flickr (https://www.youtube.com/canberrauav) or at our Facebook page (www.facebook.com/canberrauav). We also have a Patreon over at https://www.patreon.com/canberrauav if you want to further support our efforts. On Saturday 12 August 2017, Canberra UAV was invited to exhibit at ‘Science In Action’, the event launching Science Week in the ACT. We were busy all day answering questions from budding scientists and our flight simulator even drew in the Daleks! While we’re good at writing software and operating UAVs, video production isn’t a strength so we welcome any feedback on how clips can be improved and what you would like to see more (or less) of. Please subscribe to our YouTube Channel at https://www.youtube.com/canberrauav and click the ‘like’ button on clips you like – this really helps us in our fundraising efforts. Speaking of fundraising, don’t forget we have a Patreon account at https://www.patreon.com/canberrauav, even a couple of dollars a month helps. This weekend, CanberraUAV will be exhibiting at the “Science in ACTion” event – as part of National Science Week. If you’re in Canberra, come down to the Bus Depot Markets between 10am and 4pm and say hello! We’ll have many of our airframes there, plus a few simulators for people to play with. 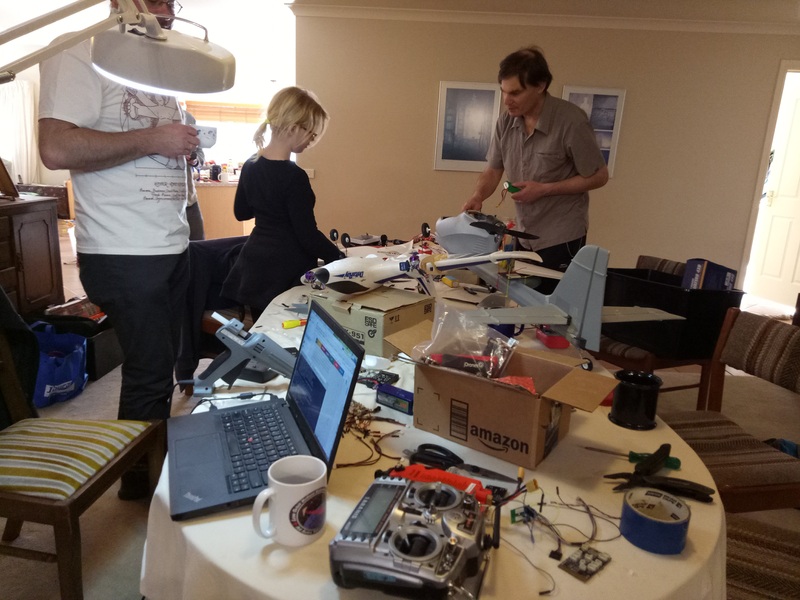 Over the weekend several members (and their children) spent the day building up our next fleet or test platfrom UAVs. This included the Ranger – now fitted with a Raspberry Pi Camera for imagering tests, and a few new tailsitter UAVs. 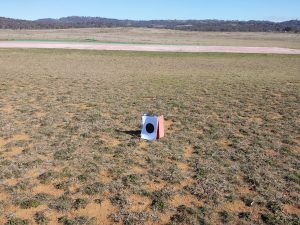 There will be tested over coming weeks for both our imagery evaluation (Ranger) and novel VTOL fixed-wing UAVs (primarily gimballed thrust electric) research areas. 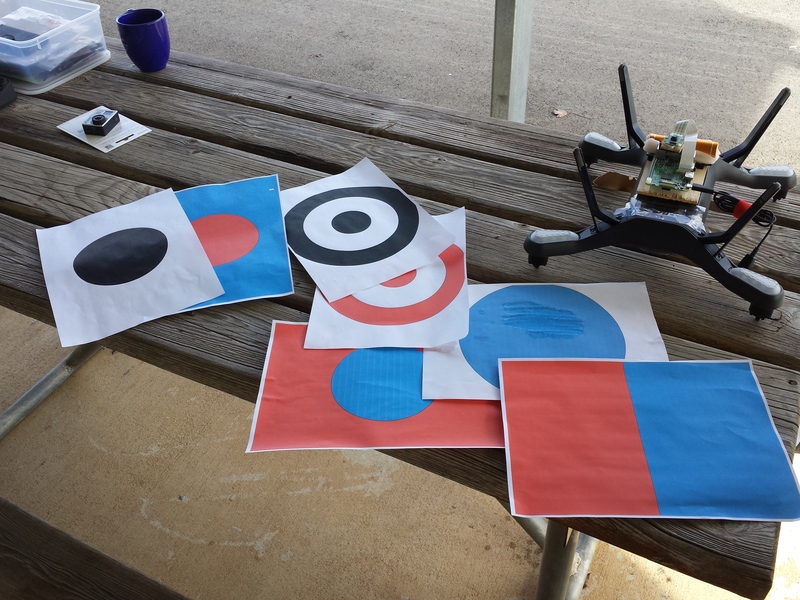 They were carried up by a 3DR Solo and photos taken of the landing target(s) from a variety of heights between 10m and 100m. Over the next couple of months we’ll be testing many more cameras – so stay tuned for more photos! 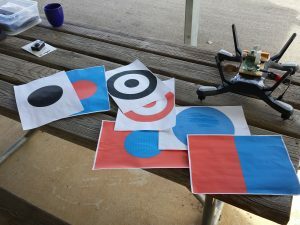 One of the more signifigant changes in the updated rules for the UAV Challenge is the requirement to accurately land on a A2-sized target. 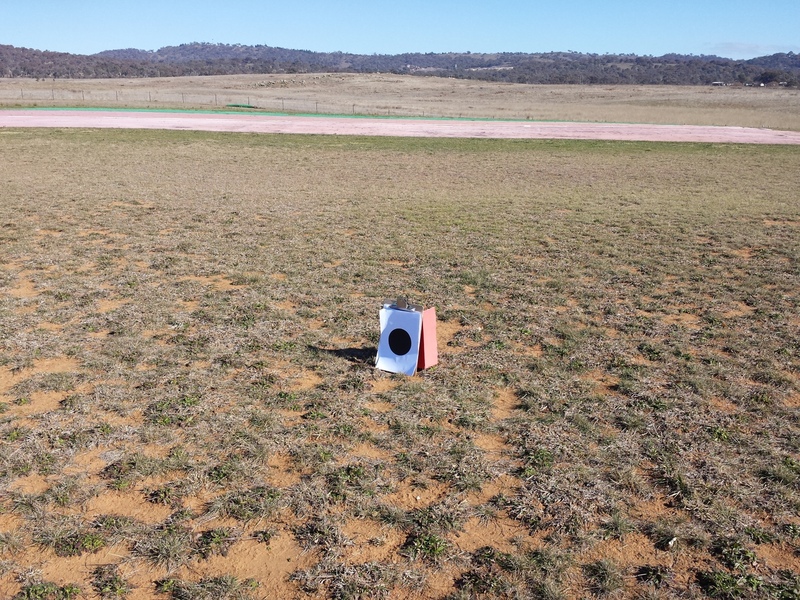 This weekend’s R&D testing consisted of testing landing targets with our PtGrey Chameleon camera. Initial ground testing with a A4-sized landing target at 40m was not promising. 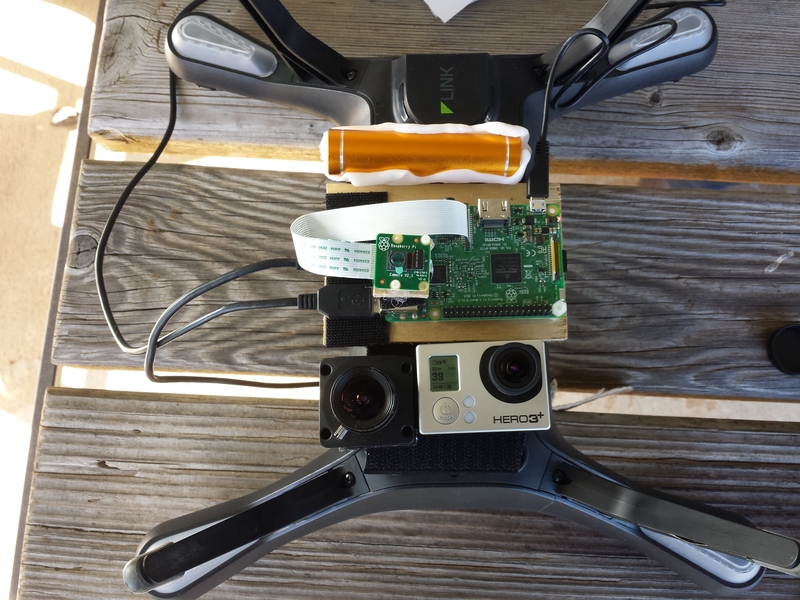 We’ll strap our imaging gear to a quadcopter for next weekend and see if we get a better result! Otherwise we’ll need to start looking at alternative cameras.